Whether you prefer to set up camp at your favorite coffee shop or get comfortable under a shady tree on the Quad, everyone has their favorite study spot. 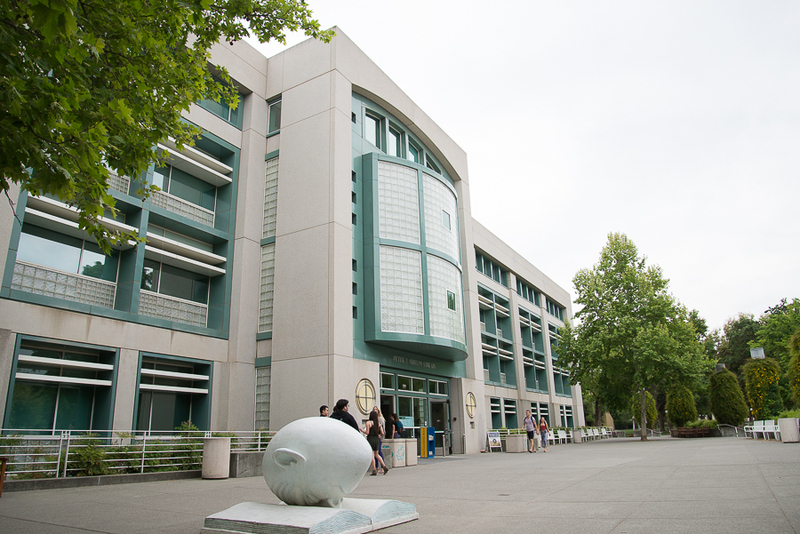 However, there’s one place all UC Davis students have found themselves at one point or another throughout the dreaded midterm season, and that’s Peter J. Shields Library. With its convenient on-campus location and readily-available table space, it’s no surprise that Shields Library was chosen as Davis’ best place to study. Shields provides a variety of different study spaces for every student’s needs. When you need to buckle down and focus up in those days leading up to a big exam, sequester yourself away in one of the single study cubbies on the second and third floor. If you’re looking to study in more of a group setting, find a spot on one of the lower levels for a collaborative study session. In need of some natural lighting? Head to the Main Reading Room to enjoy the vaulted ceilings and open windows. During finals week, Shields even works in conjunction with the CoHo to bring coffee, tea and snacks directly to the library for better convenience. Shields Library is open Monday to Thursday from 7:30 a.m. to 12 a.m., Friday from 7:30 a.m. to 6 p.m., Saturday from 12 p.m. to 6 p.m. and Sunday from 12 p.m. to 12 a.m.